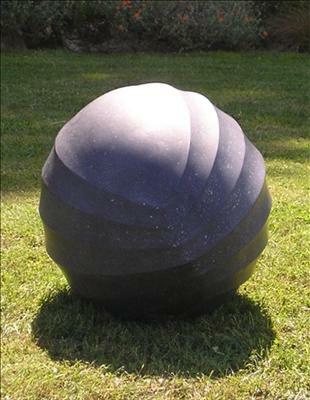 New work originally made for exhibition in 2004, the fourth in a series of sculptures exploring simple low relief around the surface of a form. This piece is now available in bronze in an edition of 3. Amongst other interpretations, 'aurelia' is the name for a cocoon. Exhibited: 2004 OnForm 04 Asthall Manor, Oxfordshire 2004 Otter Gallery, Chichester 2005 Sculpture at Messums, Marlow, Bucks.